Floating wall shelves are a great way to display photos and mementos, but they’re also a practical storage solution that can help maximize the space in your room. We’re partial to wall shelf designs with no visible brackets, a.k.a. floating wall shelves, which keep your walls looking streamlined and modern. Here are five creative ways to use floating wall shelves in your own home. 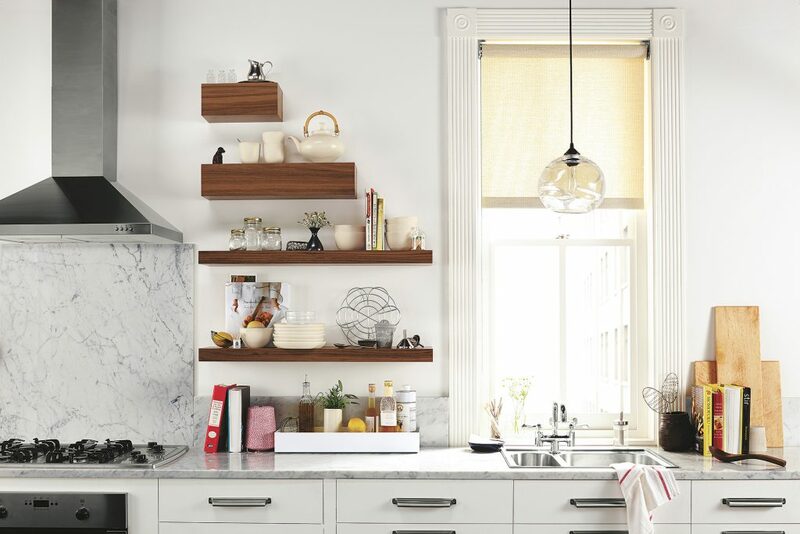 Ditching upper cabinets for wall shelves is a trend that’s here to stay. Why hide all those adorable small kitchen items when they can be on display on beautiful wood shelves? Give your room a focal point by using a floating wall shelf as a mantel. 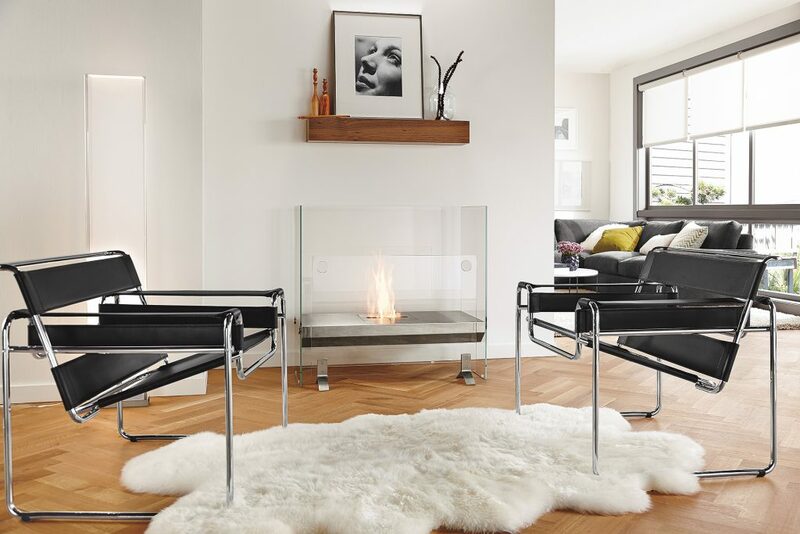 No fireplace required. If you don’t have room for a bookcase, a shallow wall rail allows you to display books with their covers facing out–bonus wall art! Plus, this is a great way to entice kids to grab a book. 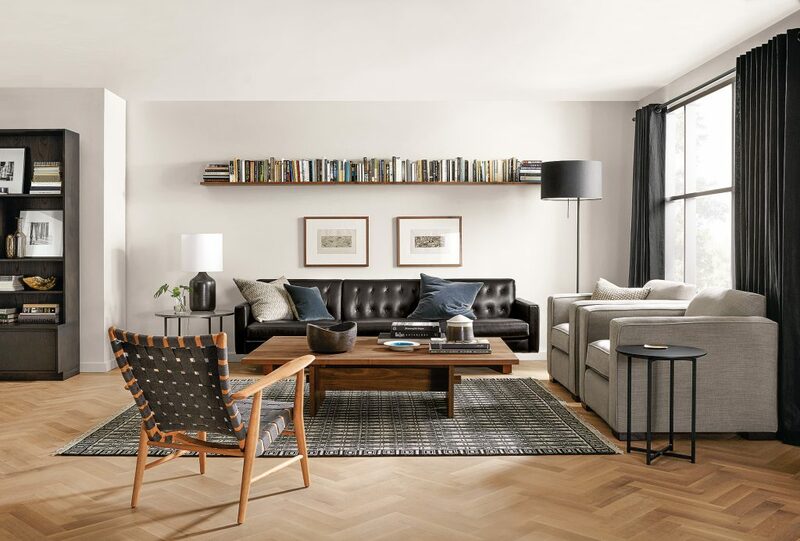 Alternatively, place a few floating shelves end-to-end above your sofa to create a linear library. If you don’t have a room for a console table, a floating wall shelf is a great substitute. 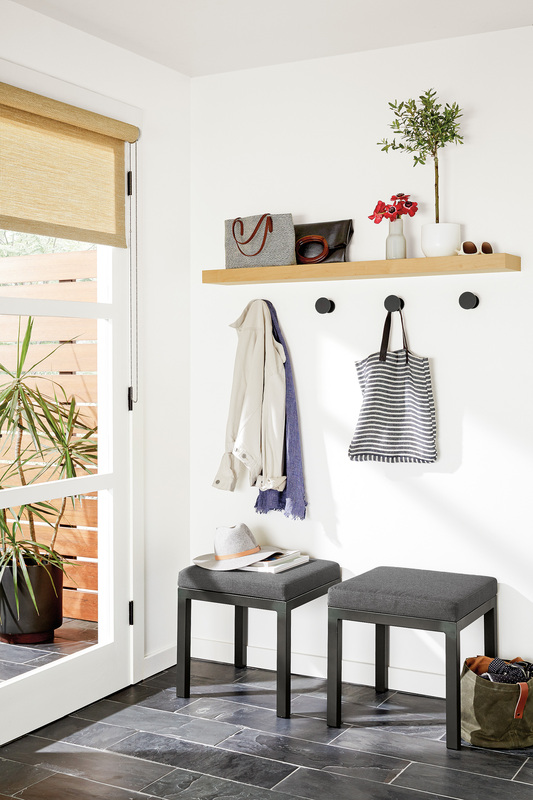 Place one at table height to create a convenient drop zone, or above hooks for out-of-the-way storage. 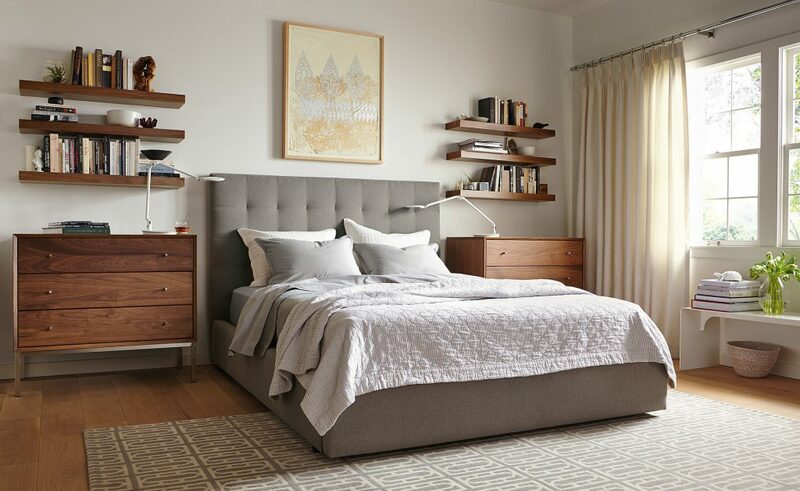 In a small bedroom, a floating wall shelf “nightstand” keeps floor space clear but still gives you a spot to charge your phone and keeps your book handy. In this room, it also helps makes use of a narrow space between the corner and the window. Do you have some floating wall shelf ideas to share? 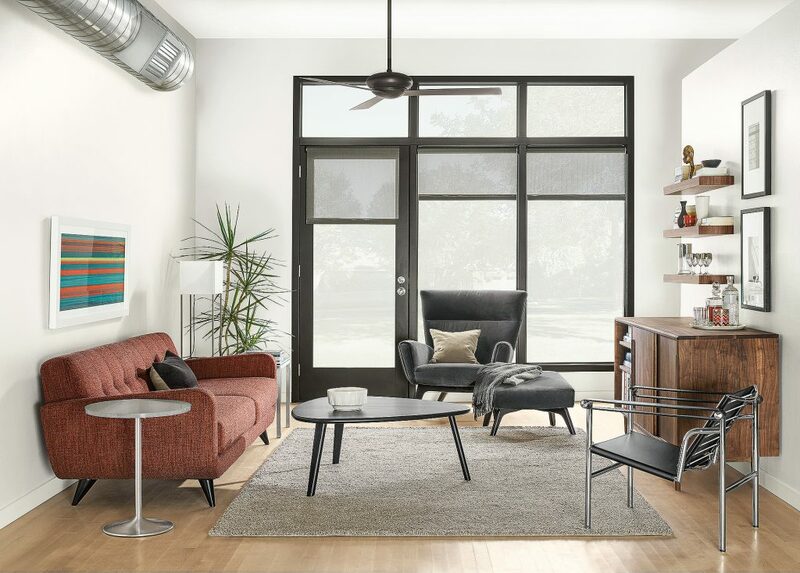 Tell us all about it in the comments or share a photo with #roomandboard.